Dutchman & jazz musician Toon Roos (1964) already had many wonderful players joining him to share their love for groove-oriented music with his ‘Group’. The album ‘Angel Dance’ -issued in 2011- even features special guests Peter Erskine and Alex Acuna. 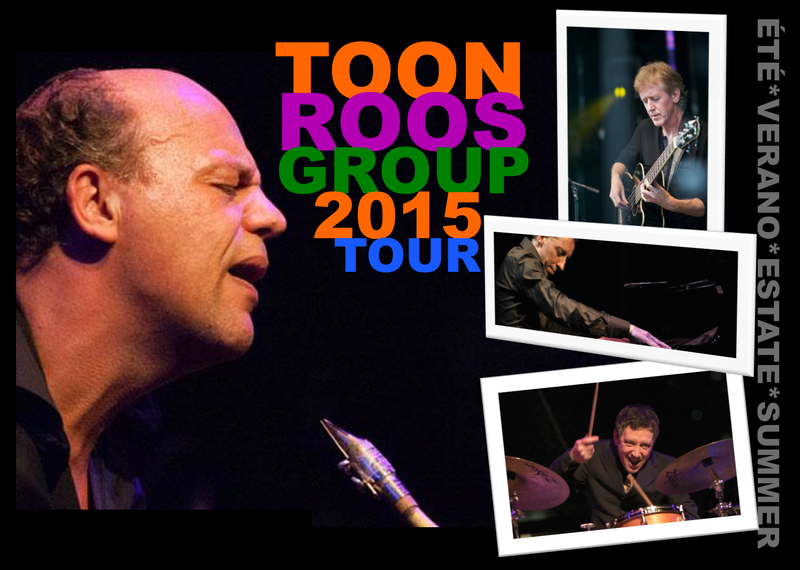 This summer the TOON ROOS GROUP visits France for a concert tour. They will soon be near you with an exciting line-up and great new music! 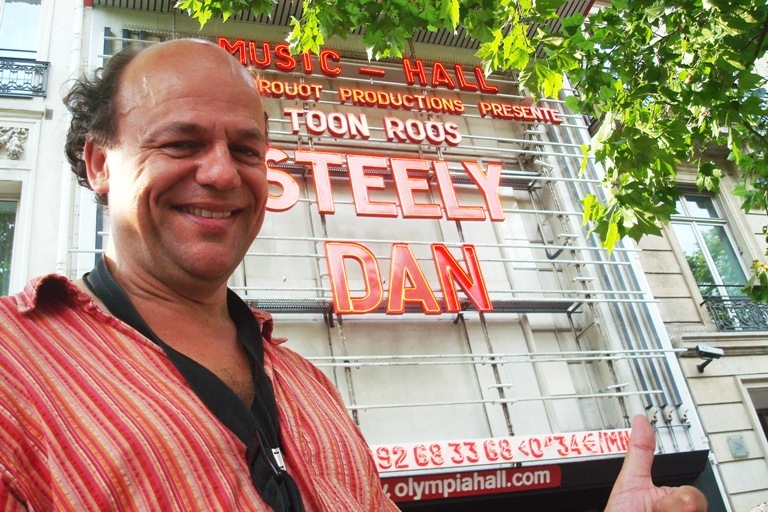 Toon Roos in front of the Olympia Music Hall, 2009. Theo de Jong is undoubtedly one of Europe’s bassguitar phenomenas. He is known for his magnificent sound and taste. Also De Jong was recognized by the great Toots Thielemans as a fine accompanist already in his twenties. He further worked with Bob Malach, Deedee Bridgewater, Gino Vanelli, Dado Moroni, Philip Catherine and the Peter Herbolzheimer Bigband, to name a few. He lives both in Holland and Belgium where he performs and teaches extensively. Amsterdam-based drummer Franc auf dem Brinke is associated with many musicians playing many styles ranging from jazz, brazilian, latin, pop and funk. His career spans cooperations with people like saxophonists Rick Margitza & Benjamin Herman, pianist Michiel Borstlap and vocalist Deborah J. Carter. He recorded numerous albums, amongst which a beautiful, recent, Edison-nominated Milton Nascimento-project by Dutch-Brazilian singer Agnes Gosling. This spring his very own first album is in the making.